On May 18, 1980 students in Gwangju, South Korea gather in front of Chonnam National University to protest the closing of their university. 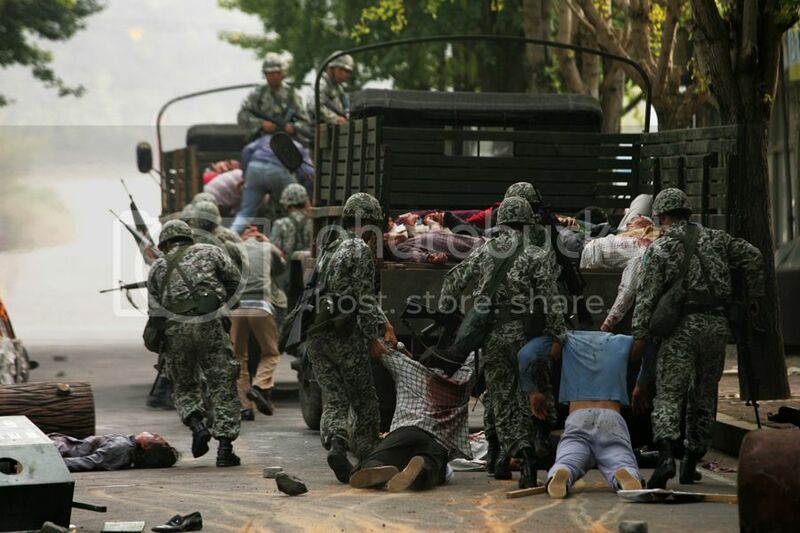 The army that is stationed around the university move in quickly and uses lethal force on the students. Taxi driver Min-Woo (Kim Sang-Kyung) lives in Gwangju and watches over his younger brother Jin-Woo (Lee Joon-Gi) like a father. Min-Woo is also in love with a nurse named Shin-Ae (Lee Yo-Won) who attends the same church as younger brother Jin-Woo. Shina-Ae’s father is retired military commander Heung-Soo (Ahn Sung-Ki). When Min-Woo drives near Chonnam National University he witnesses first hand the chaos and violence that is erupting in Gwangju. He quickly drives home and instructs his younger brother Jin-Woo to not take part in the student uprising. 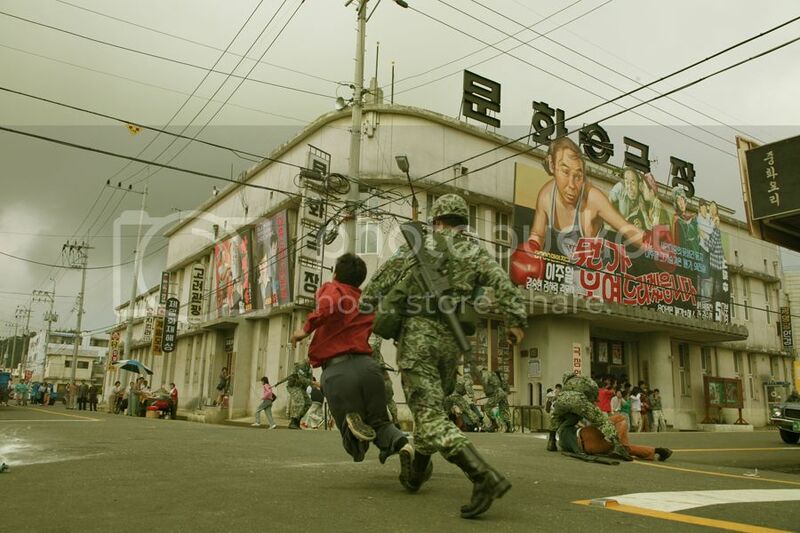 When one of the Jin-Woo’s classmates is killed by the military, Jin-Woo leads his classmates out into the streets to protest. Enraged citizens begin to take arms from nearby armories and police stations. A few days later, things seem to settle down when the soldiers retreat from the city. The citizens in Gwangju soon realize that the military retreated in a strategic maneuver while awaiting reinforcements. 1. 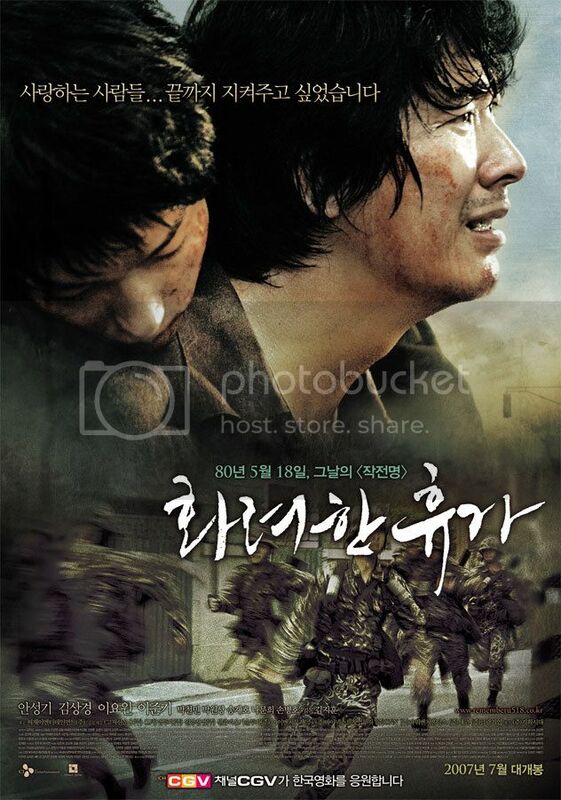 The main characters in “May 18” are fictional, but the movie is based on the real life Gwangju Uprising that took place in Gwangju during May, 1980. 2. Filming took place over 12 acres at the High-tech Science Industrial Park in northern Gwangju. Over 600 extras were used for the protest scenes.